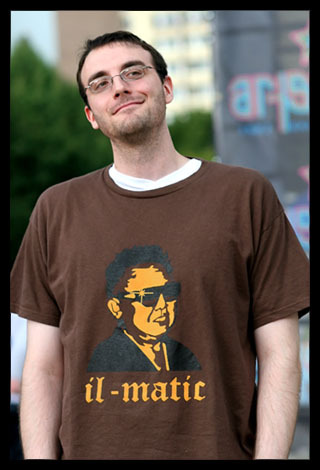 This shirt is a tribute to late evil dictator Kim Jong Il’s flashy Hollywood-meets-Pyongyang style and Nas’s retrospective album, “illmatic”. Yep, we’re still kicking around some old stock from 2006. This shirt is a tribute to late evil dictator Kim Jong Il’s flashy Hollywood-meets-Pyongyang style and Nas’s retrospective album, “illmatic”. Finally, we have a restock of these il-matic t-shirts.